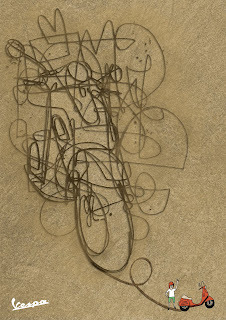 An advert for Vespa. Vesspaaaaah! 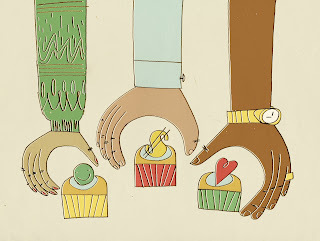 This is an editorial for an article on how cupcake stores are gentrifying areas in the ghetto, or something. baked with happiness, a finically stimulating gooey centre and a sprinkling love.